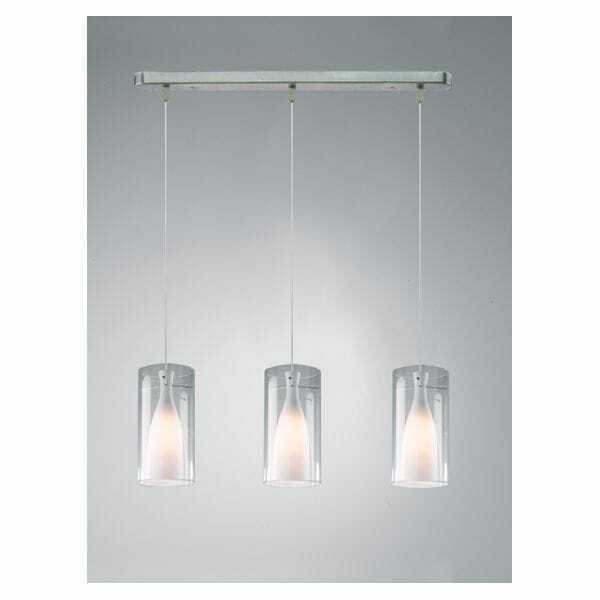 Dar Boda satin chrome finish pendant with double glass, opal white inner glass and clear outer glass. The product code for this Dar Lighting fitting is BOD0346, however we also have a 1 light satin chrome finish pendant "BOD8646" as an alternative. This beautiful design brings a sense of softness to your room, accompanied with the wall fixtures this will be sure to add a touch of elegance to your room. Matching Boda single wall lights are available to order from our website, you can find these in the section below or by searching "BOD0746" above. This fitting is height adjustable only at the point of installation depending on your personal preference and ceiling height. To view a our full range of Dar Lighting Boda search "BODA" in the search box above.